Keep up to date with Lori’s latest releases here. Lori Foster has been both a clue in the New York Times crossword puzzle and the USA Today Quick Cross puzzle. Lori enjoys visiting with readers on Facebook, Twitter, Goodreads, and Pinterest. 2010: Lori was a clue in the USA Today Quick Cross puzzle. 2009: Servant: The Acceptance was Amazon’s #1 Editors’ Pick in Romance. 2008: Hard to Handle reached #2 on the New York Times. 2007: Causing Havoc was among Amazon’s Top Ten Editor’s picks in Romance. Lori also launched a new “urban fantasy” series under the name L.L. Foster. See more on her “dark side” at www.llfoster.com. 2006: Jude’s Law was the “Bestselling Romantic Comedy” romance title for the BGI group. 2005: Lori received the prestigious Romantic Times “Career Achievement Award” for Contemporary Romance. 2004: The Secret Life of Bryan was the “Bestselling Original Contemporary” romance title for the BGI group. Lori Foster was a clue in the New York Times crossword puzzle. 2003: Say No To Joe was the second “Bestselling Original Contemporary” romance title for Waldenbooks. 2002: Lori’s book Too Much Temptation was the top-selling romance title for Amazon books. 2001: Lori received the prestigious Romantic Times “Career Achievement Award” for Series Romantic Fantasy. 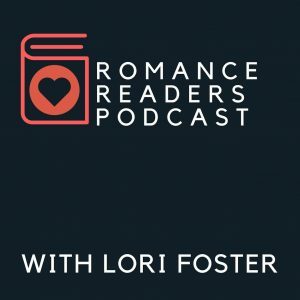 Lori talks romance, including interviews with your favorite authors. Lori appreciates all the requests for photographs for press use. All images are 5 inches X 7 inches, jpegs, at 300 dpi. Please email us and let us know where you post your article so we can link to it. Thank you.